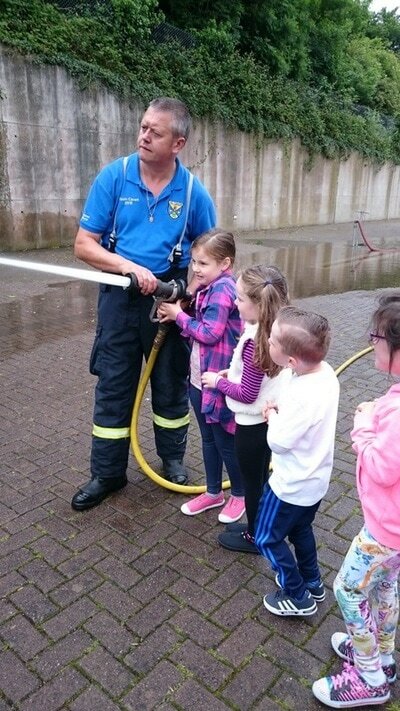 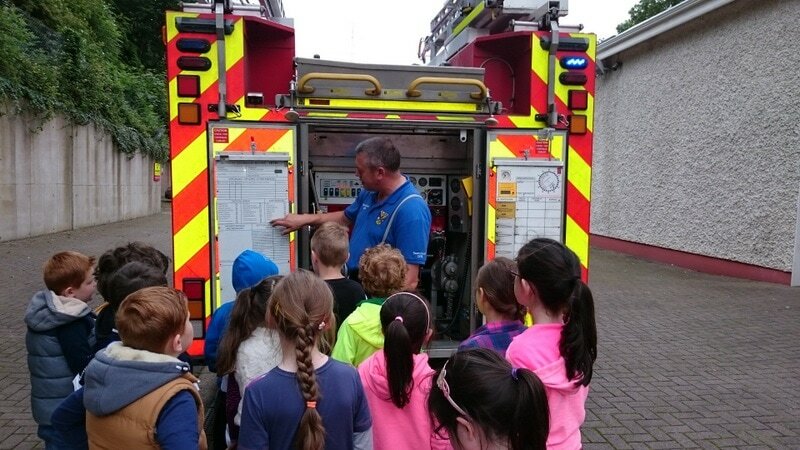 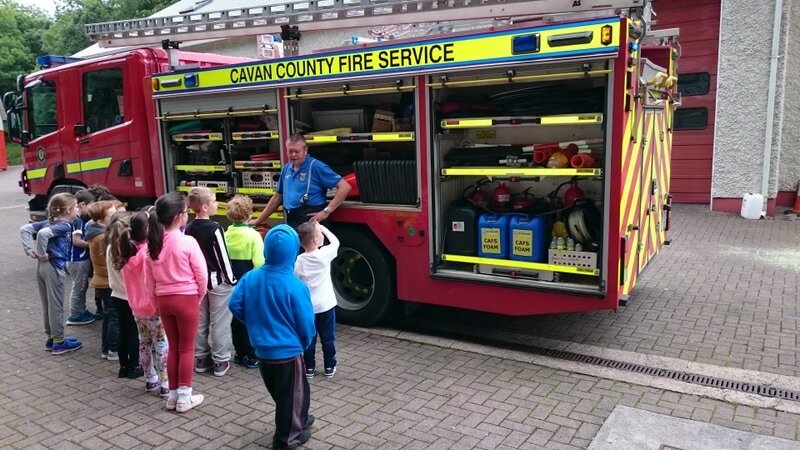 The Junior room went to Cavan Fire Station where Johnny the fireman showed them around and explained how all the equipment works. 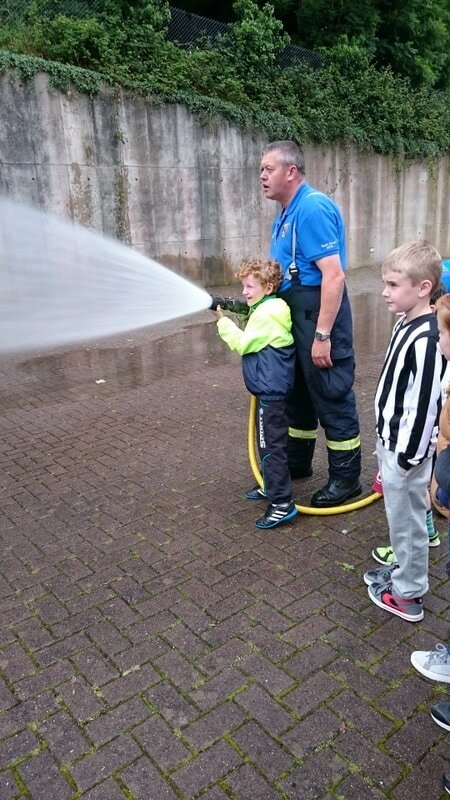 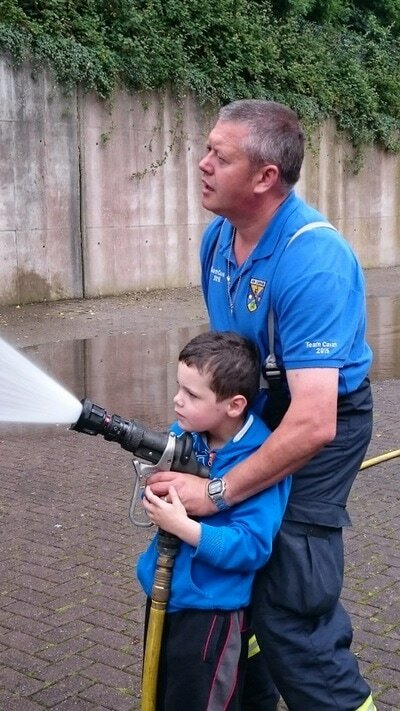 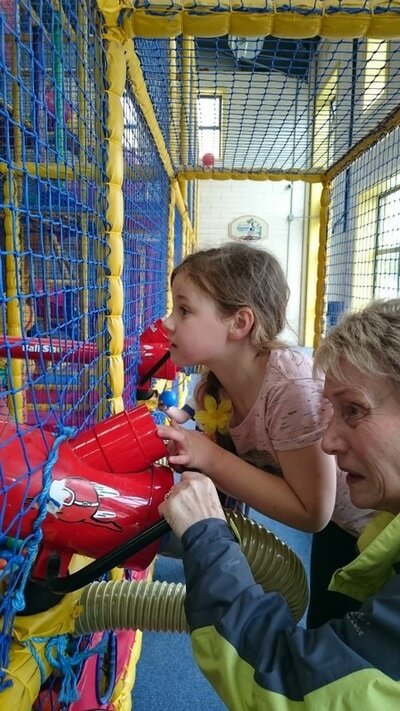 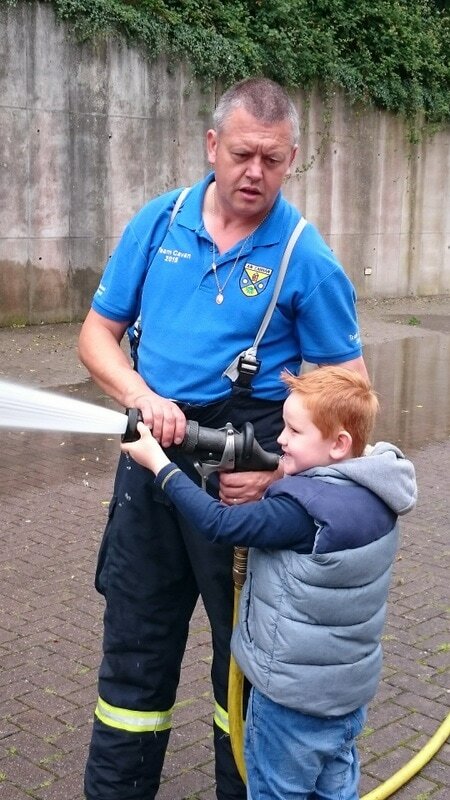 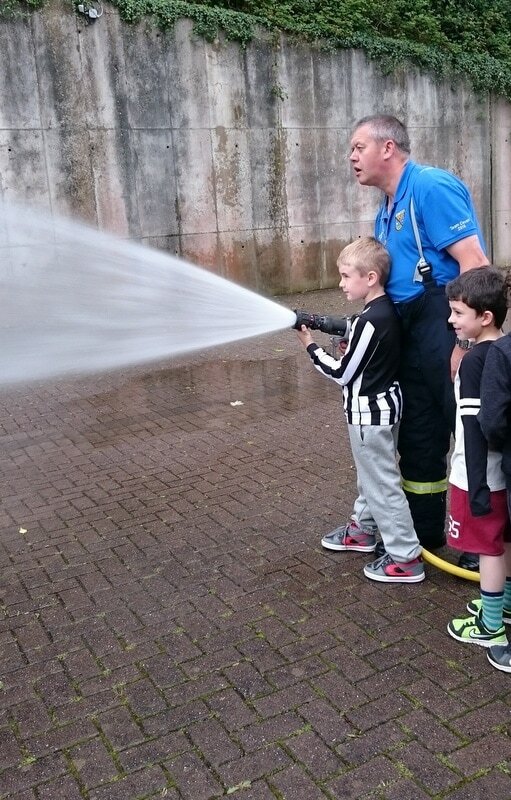 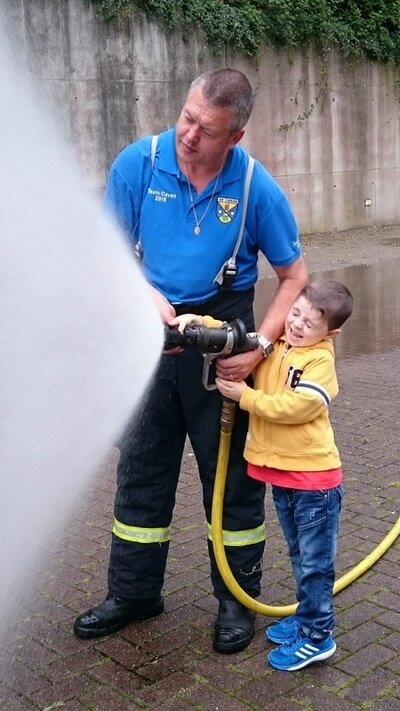 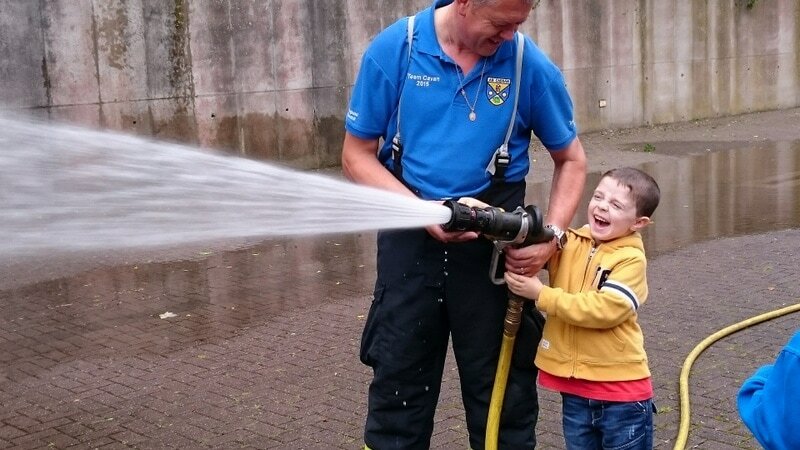 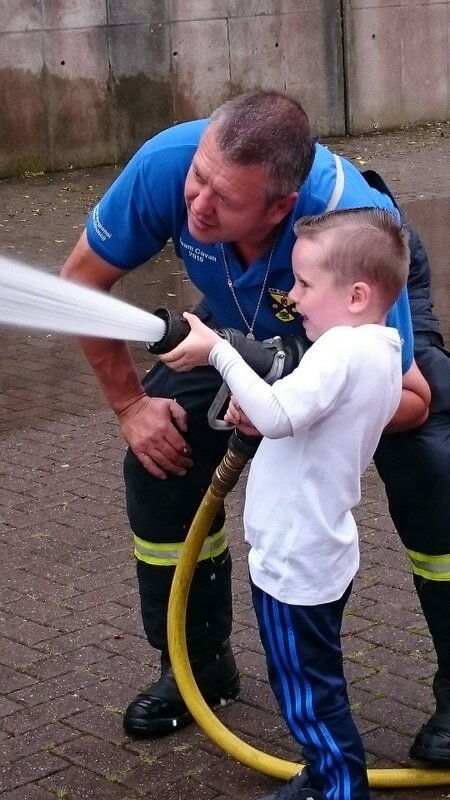 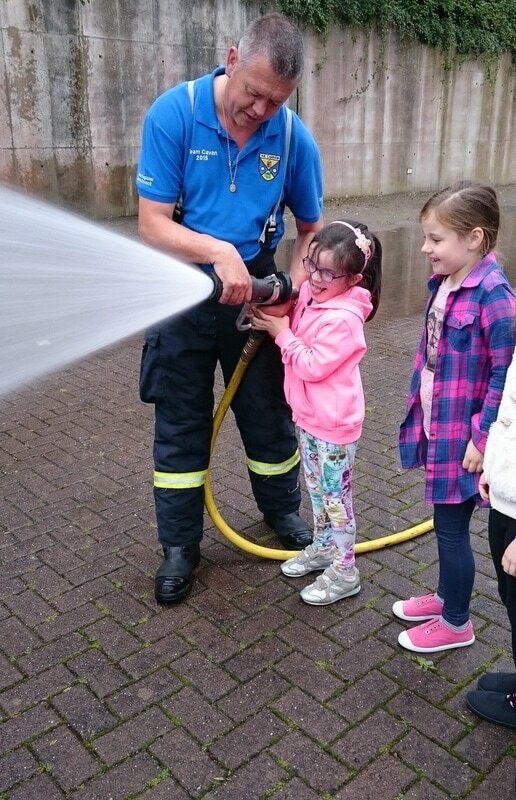 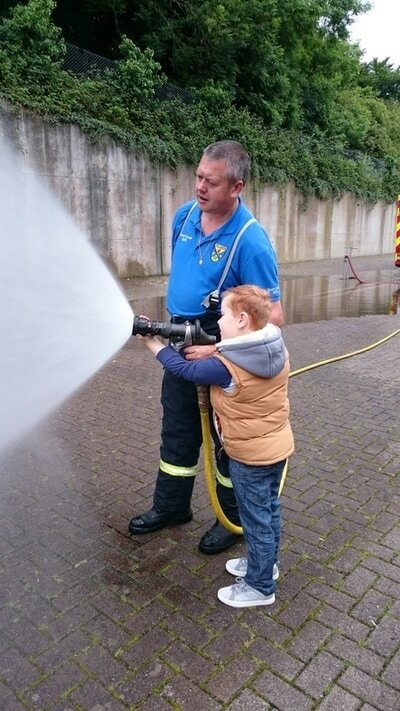 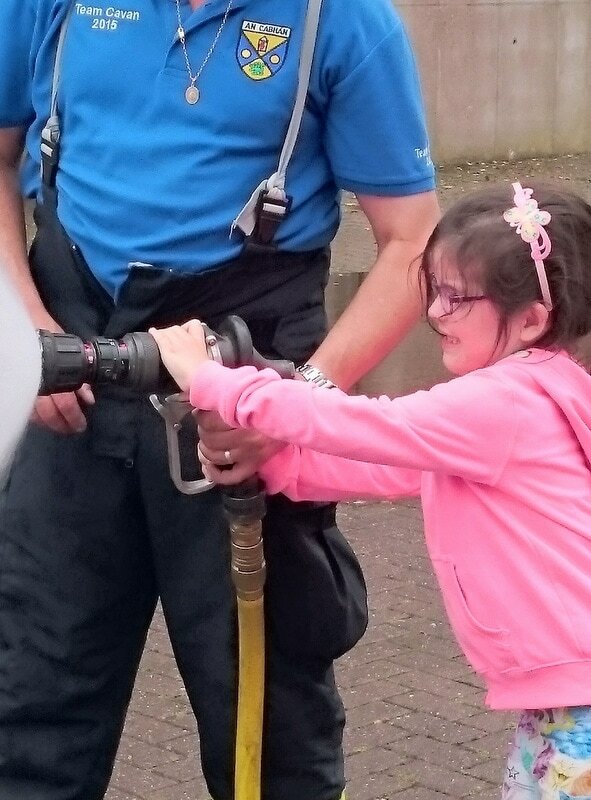 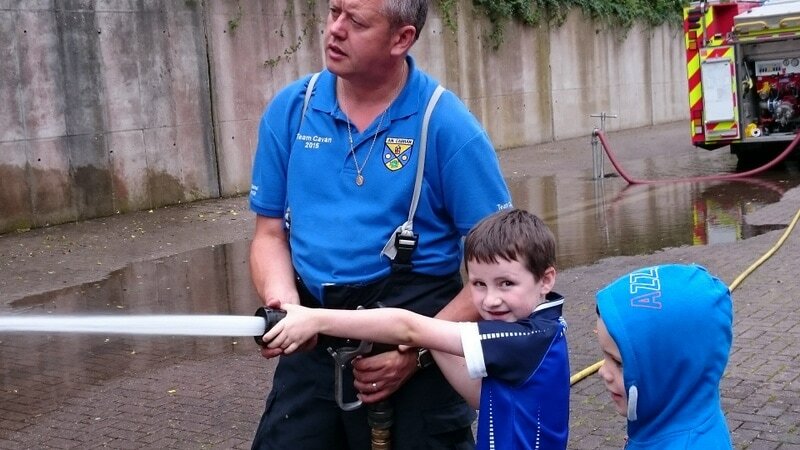 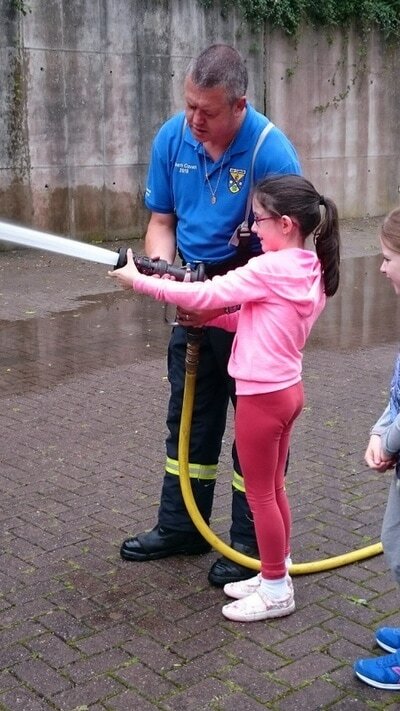 Then we all had a chance to use the fireman’s hose and we all even managed to stay dry. 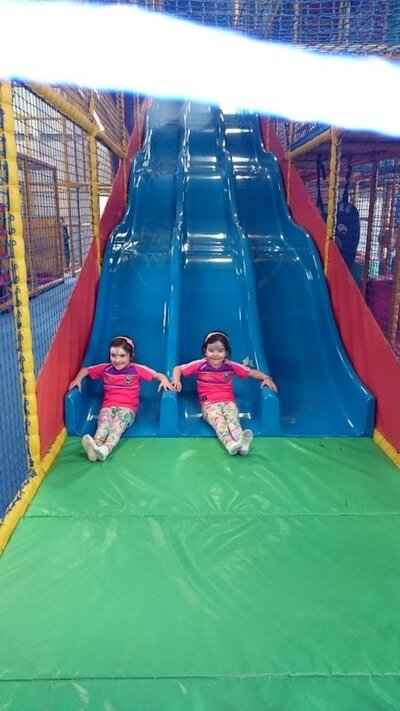 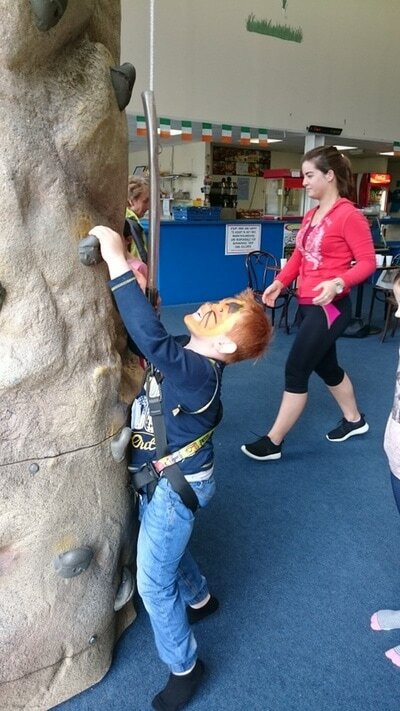 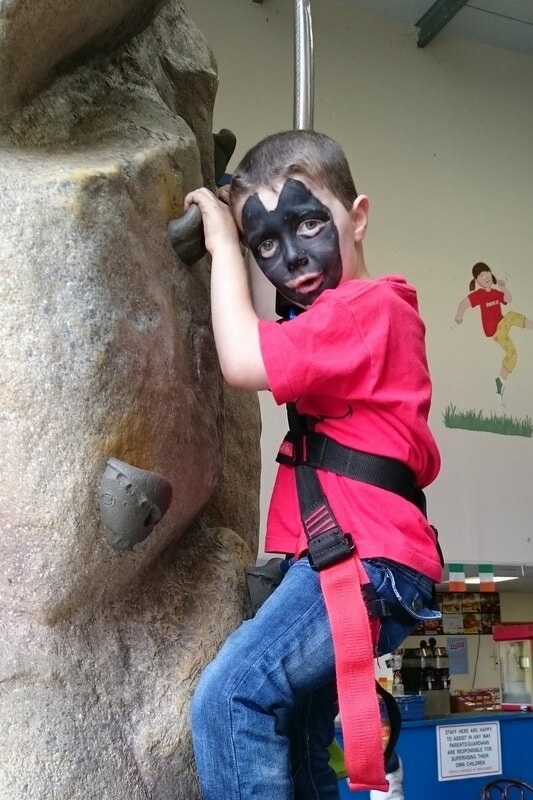 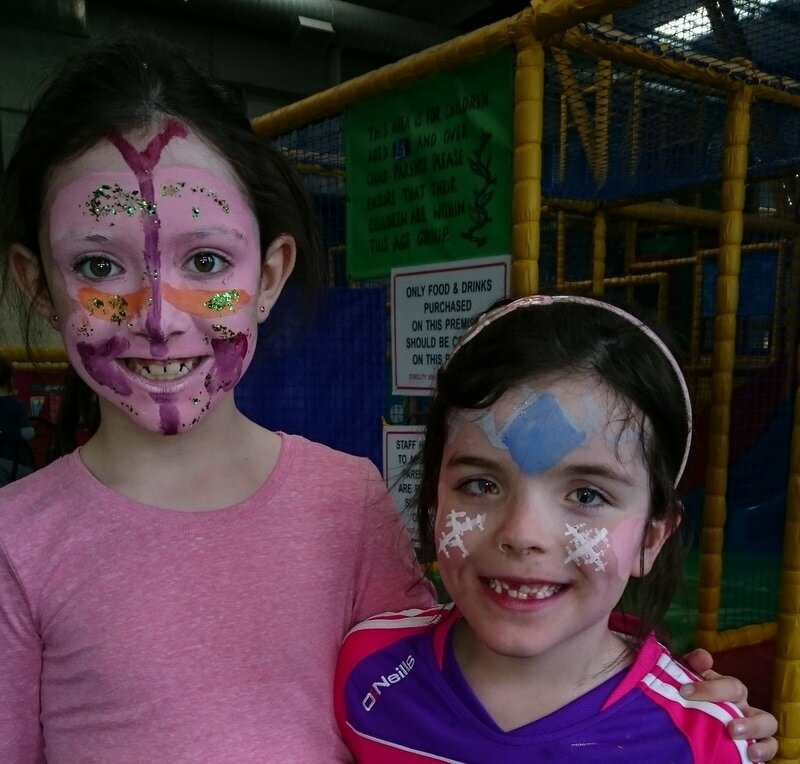 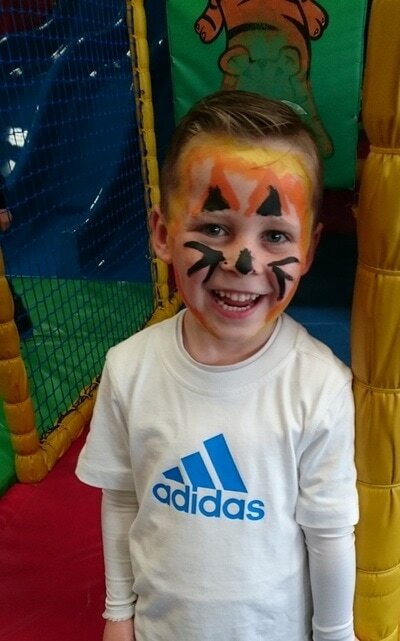 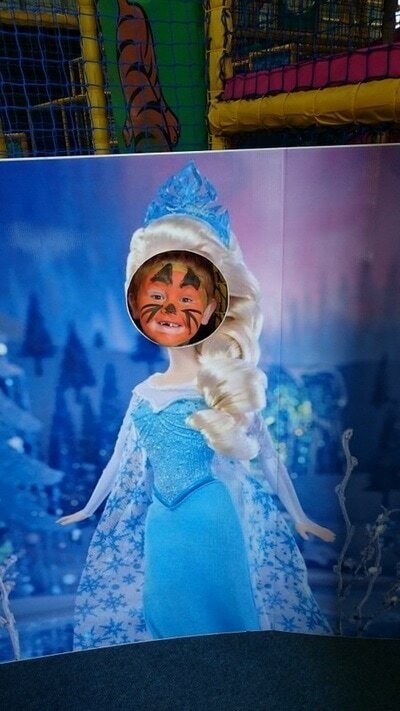 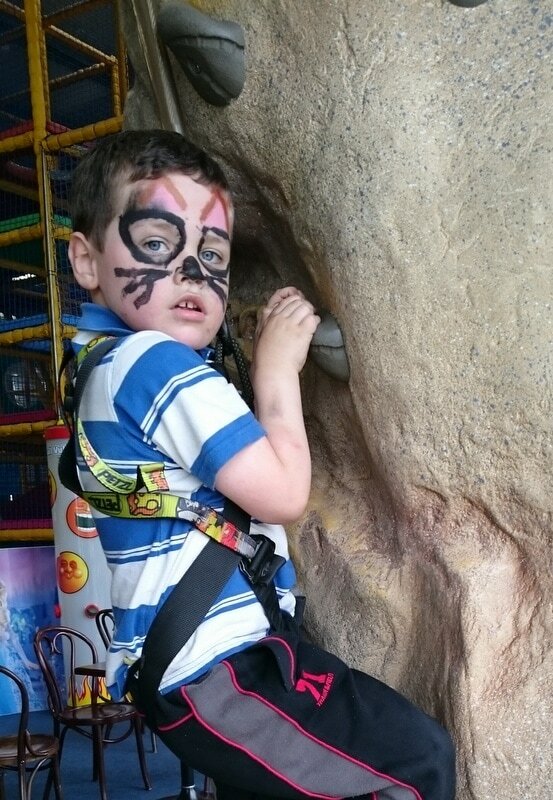 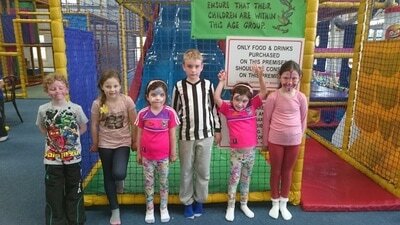 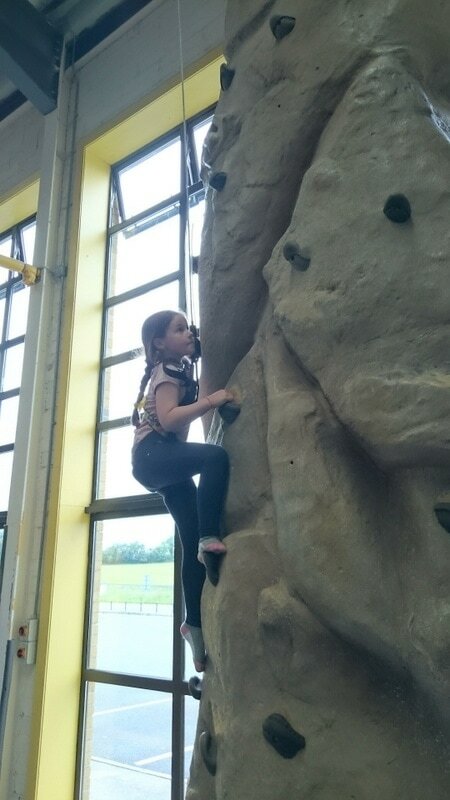 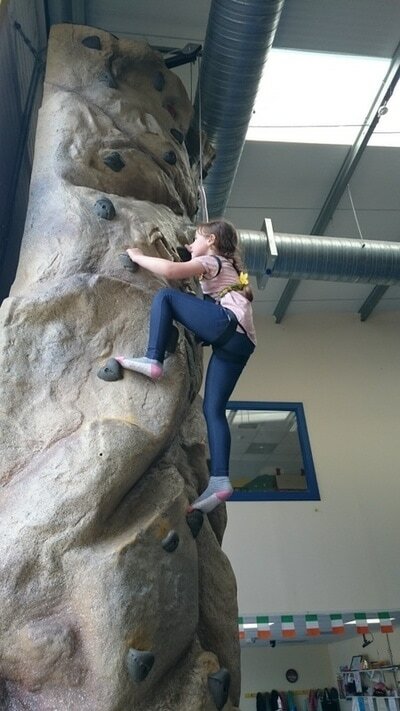 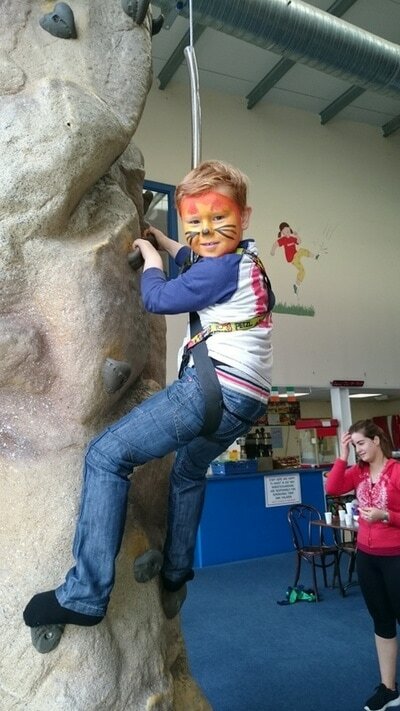 We then went to Kool Kids where we had a great afternoon of fun, climbing the wall and having our faces painted. 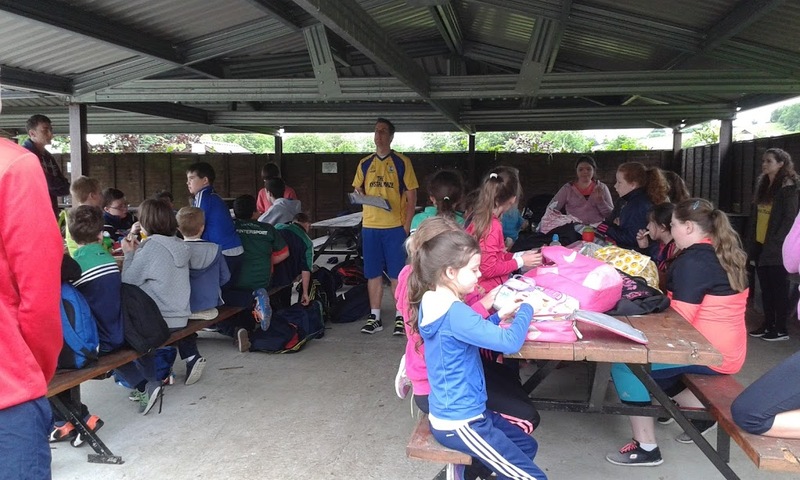 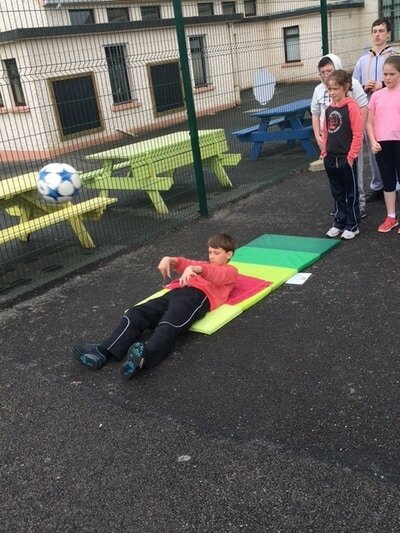 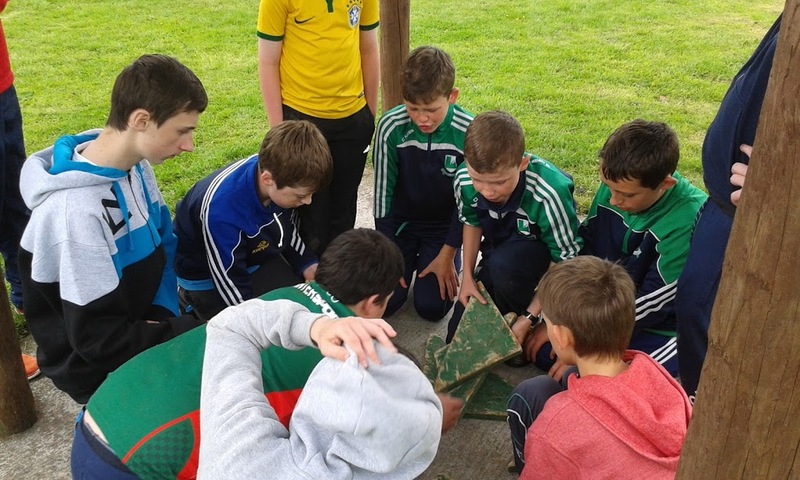 Children from Second to Sixth class travelled to the Crystal Maze in Cavan. 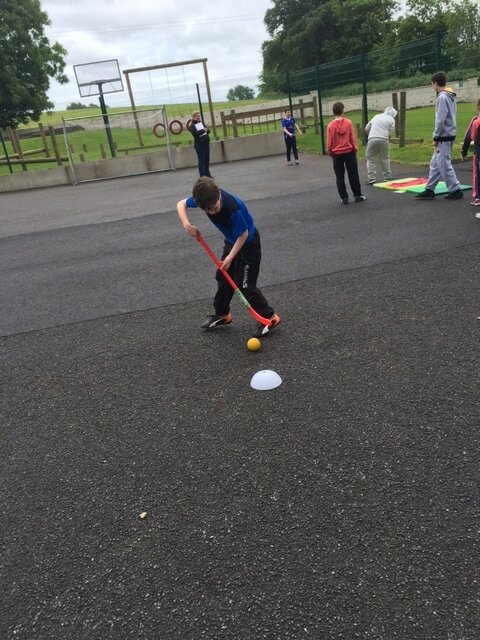 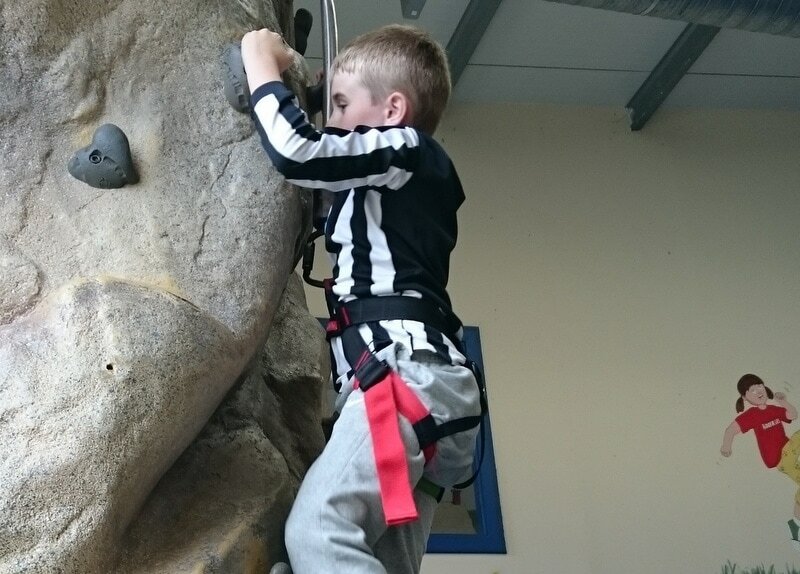 They took part in a series of physical, mental and skill challenges. 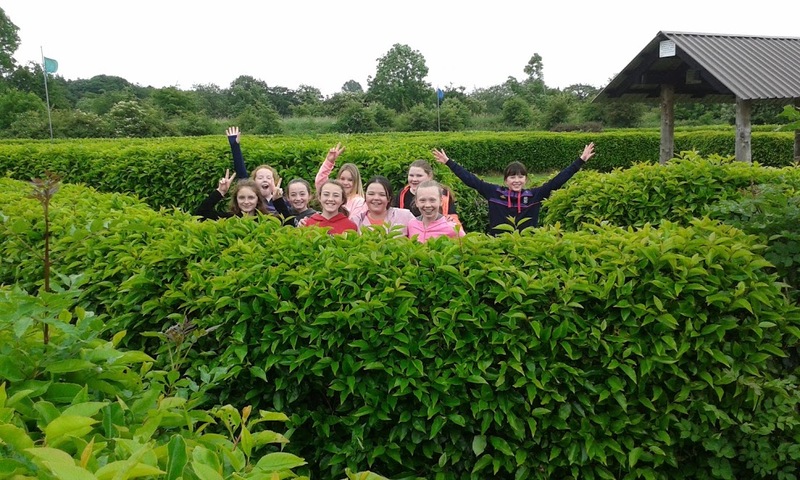 In teams the children had to navigate around Ireland's biggest hedge maze while attempting to win crystals. 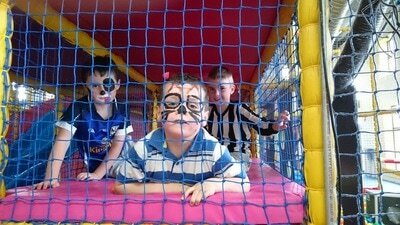 A great day was had by all!! 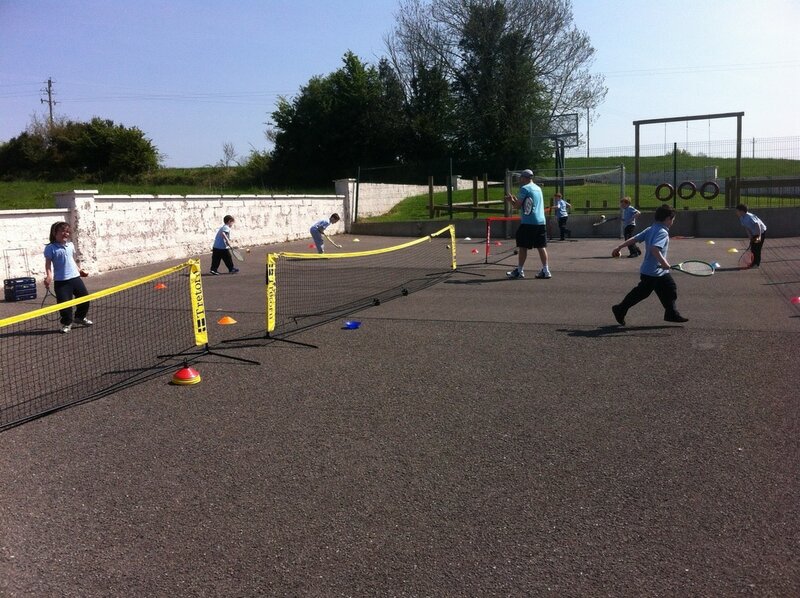 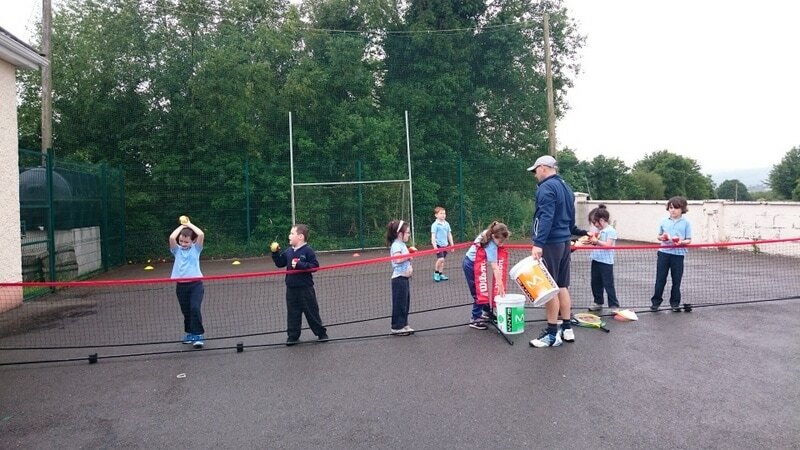 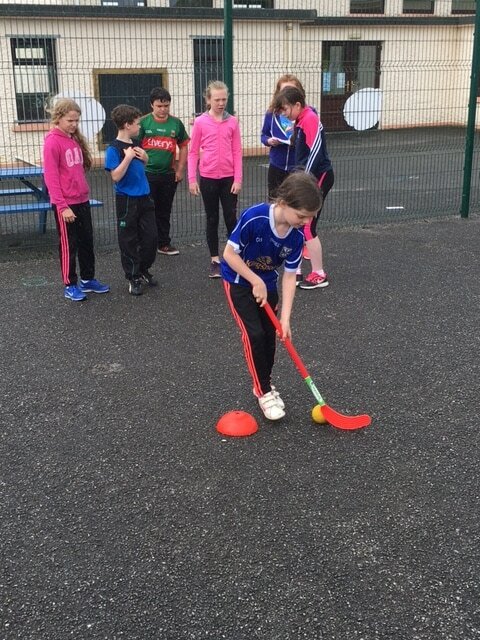 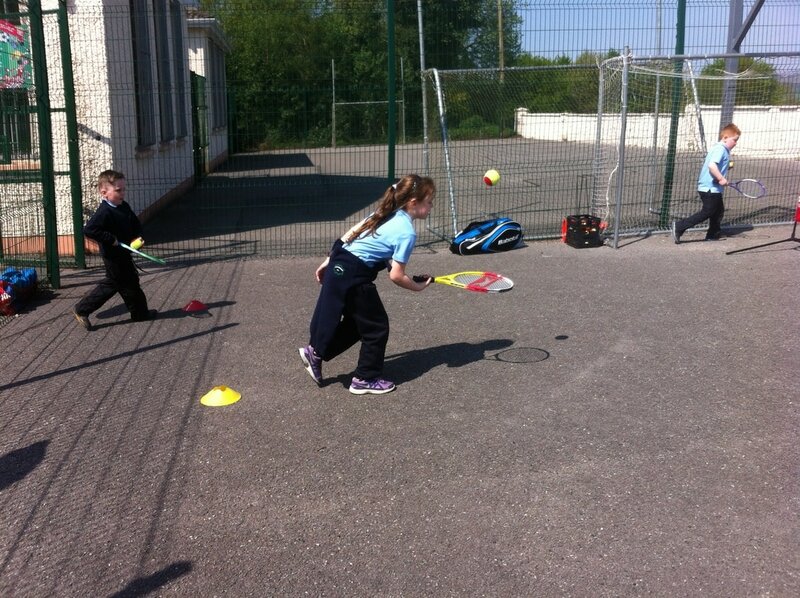 All children from Junior Infants to Sixth Class have been really enjoying their tennis lessons with coach Marty over the past few weeks. 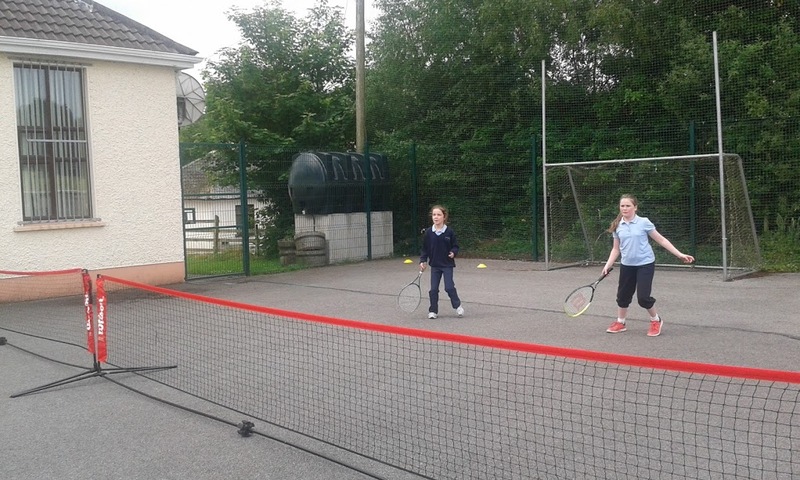 They have learned the basic skills and should be well ready to hit the courts this summer. 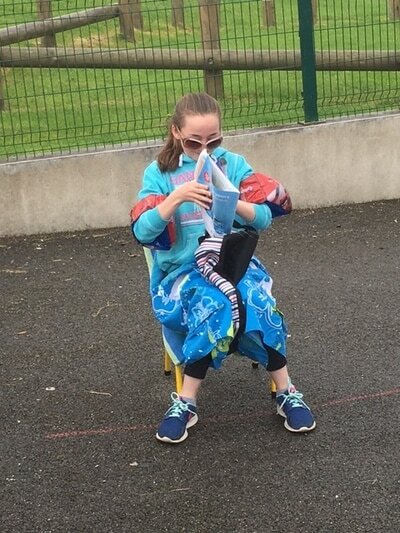 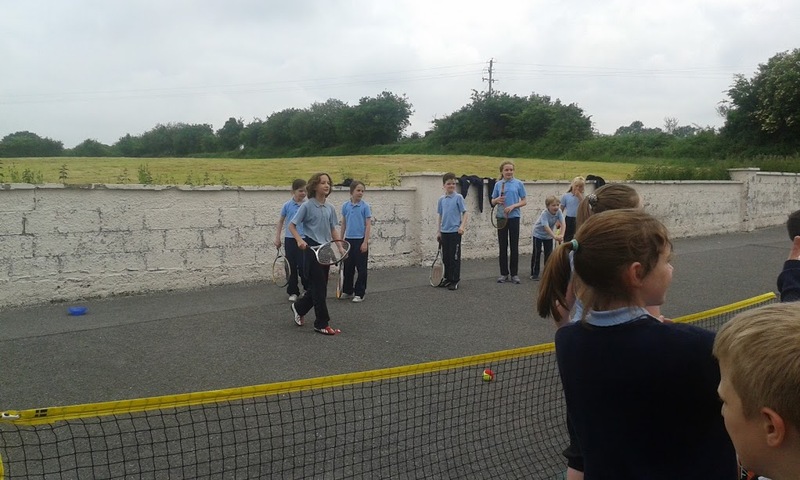 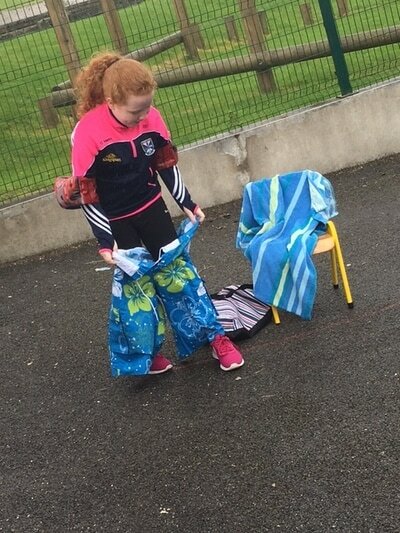 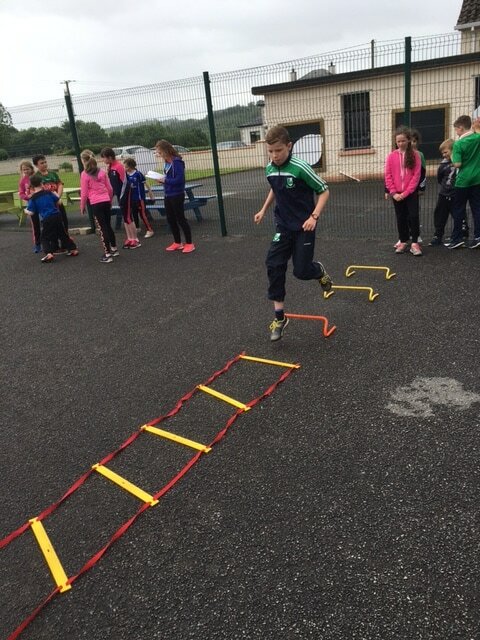 Greaghrahan NS had its annual Sports Day on 21st June. 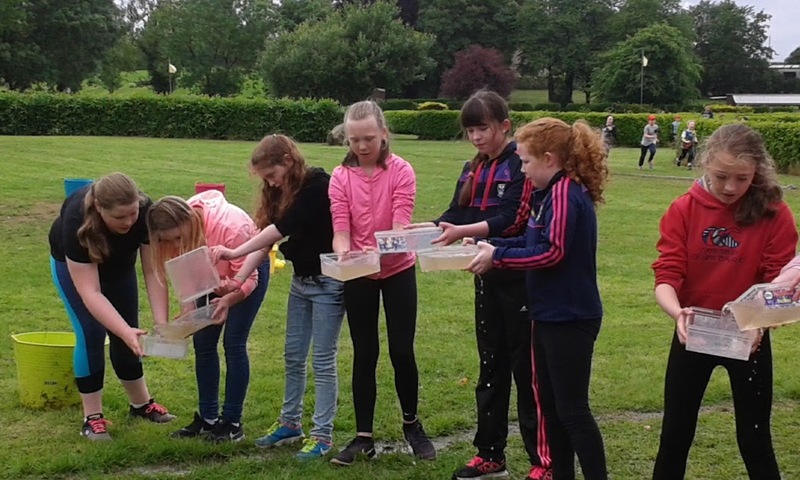 Despite the rain, a great day was had by all. 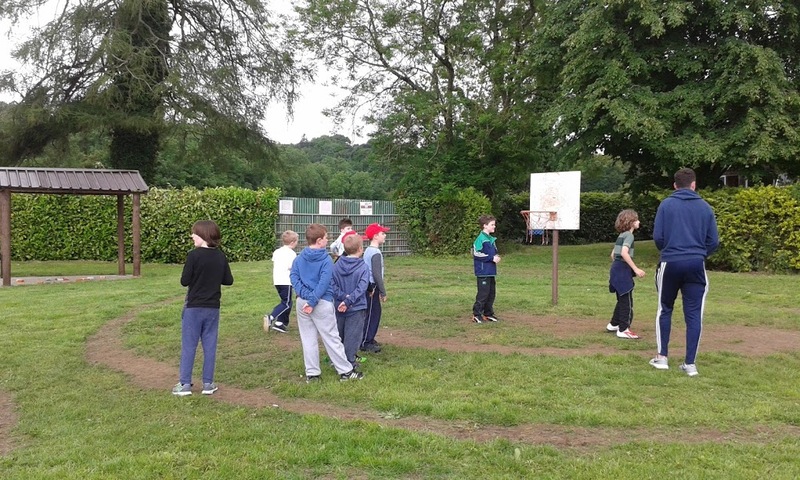 The day had a mixture of competitive and novelty events. 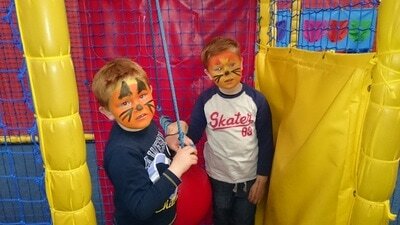 A big thank you to the parents who helped out with the various events. 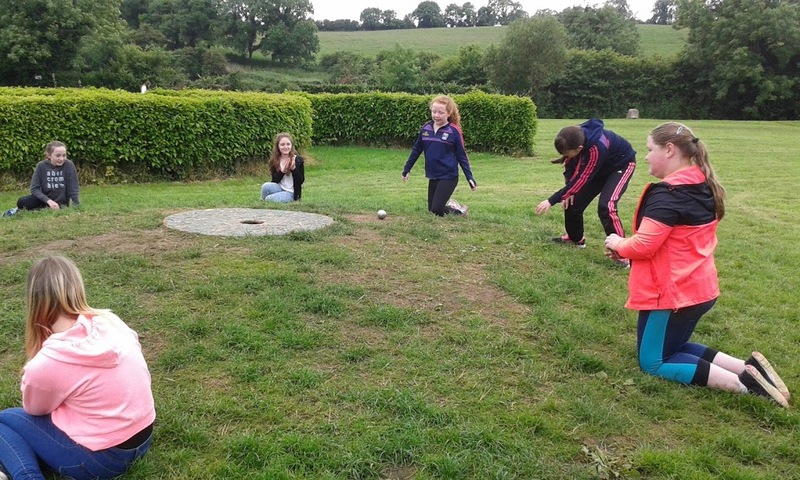 On Friday the 10th of June the Senior pupils used some of the profits from the Junior Entrepreneur Programme to go bowling in Cavan. 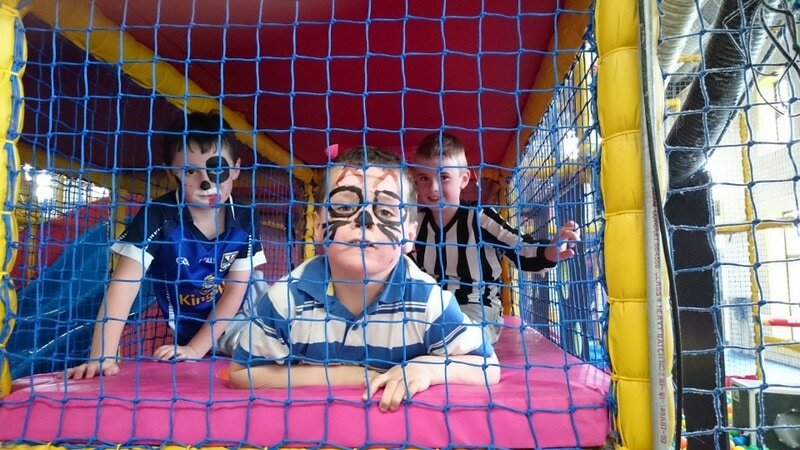 They finished their day in Mc Donald’s before returning to the school. 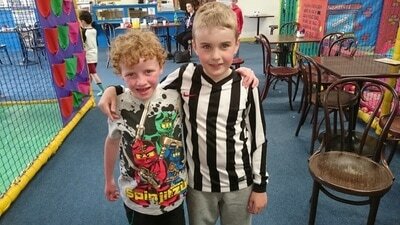 It was a well deserved treat after all their hard work and everyone had a great time. Our new Infants due to begin school in September came to see us for the first time with their parents. 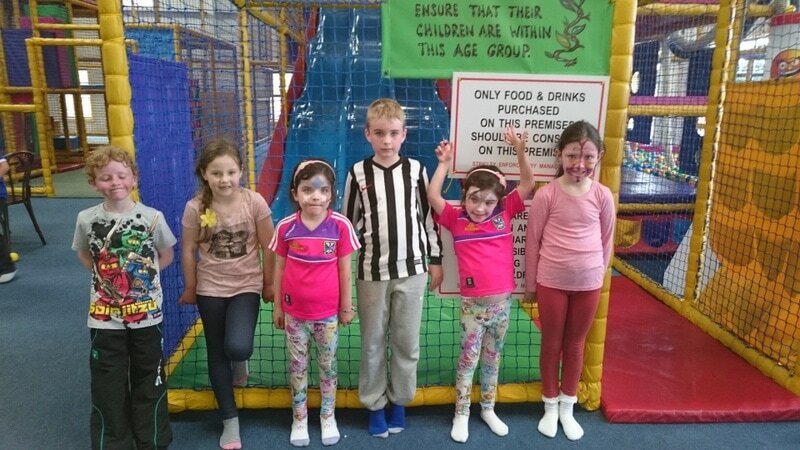 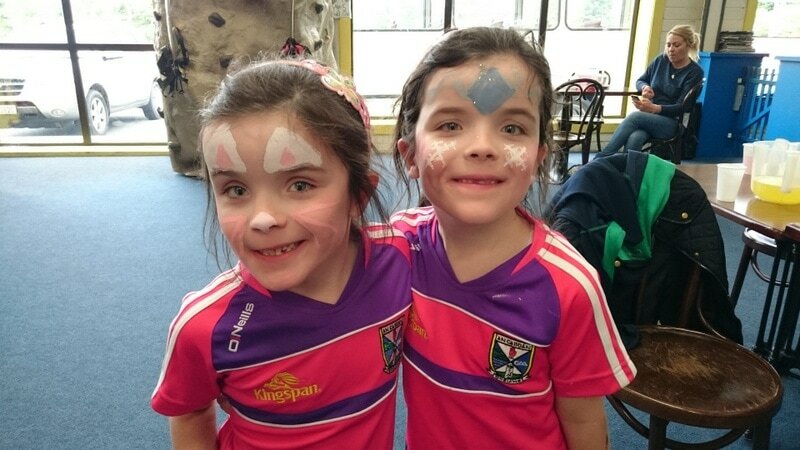 We look forward to having Éabha, Eve, Finn, Keira, Lily and Sarah join us in September. 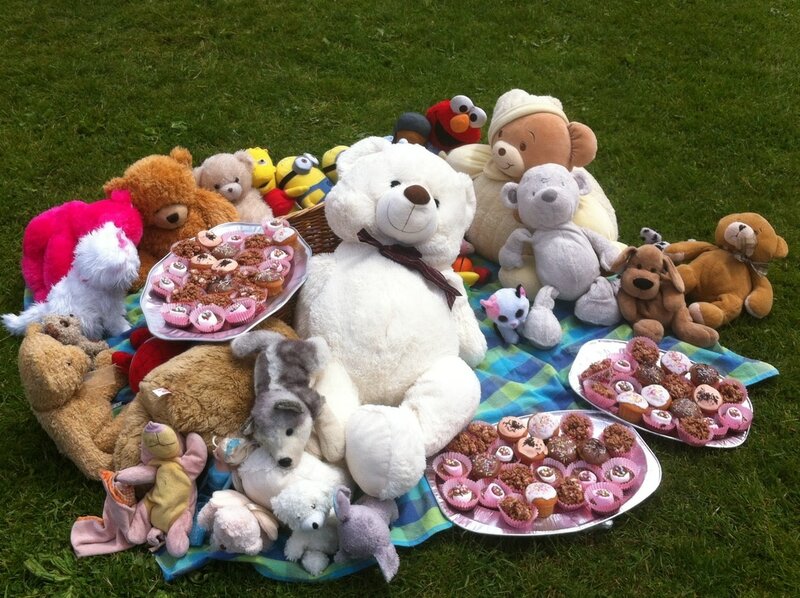 ​Unfortunately the inclement weather prevented the Junior pupils from going to the woods for their annual Teddy Bear’s Picnic on Friday 24th of June. 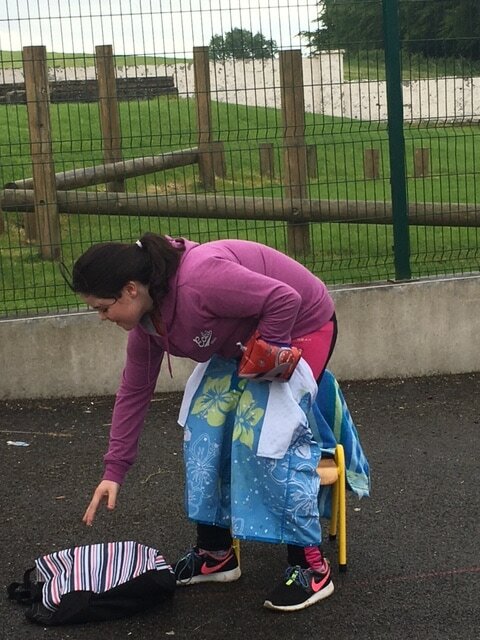 Despite the weather, we think the bears enjoyed it and everyone had some nice treats to eat. 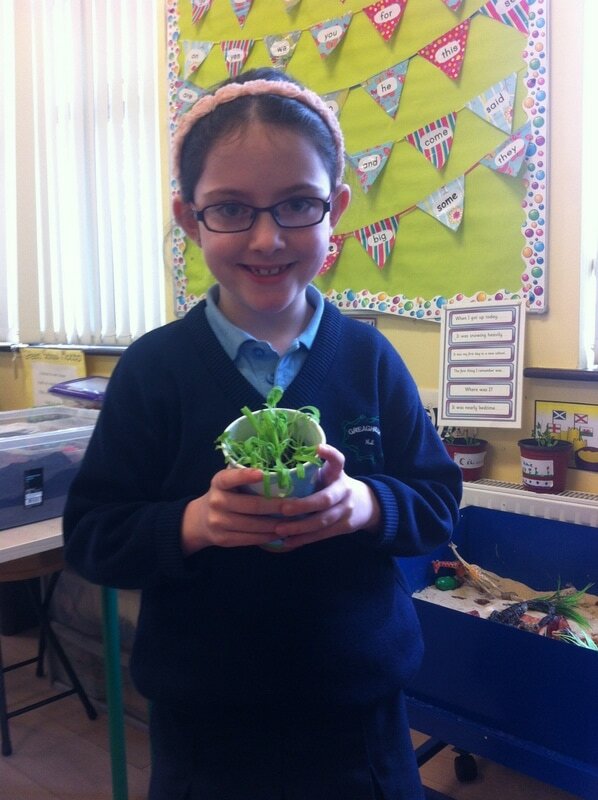 The children from second class received their First Holy Communion on Sunday 15th May. 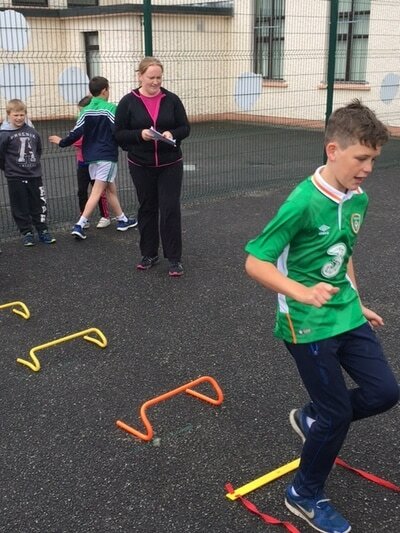 A big congratulations to Michelle, Fiachra, Adam, Oscar and Liam. 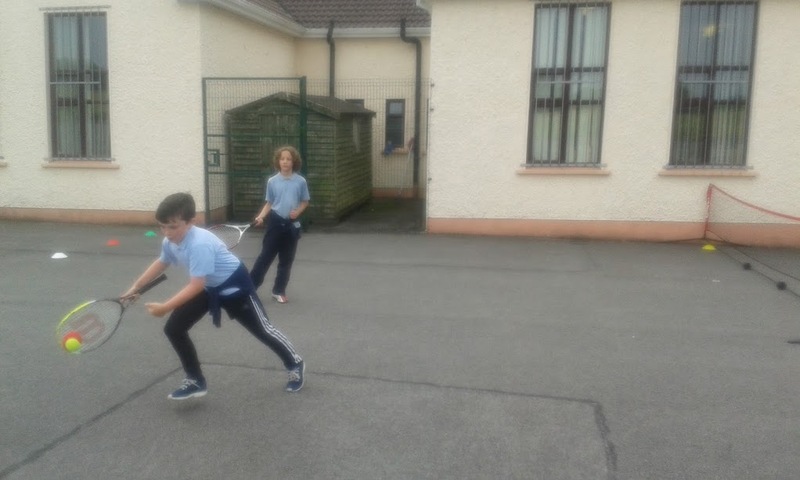 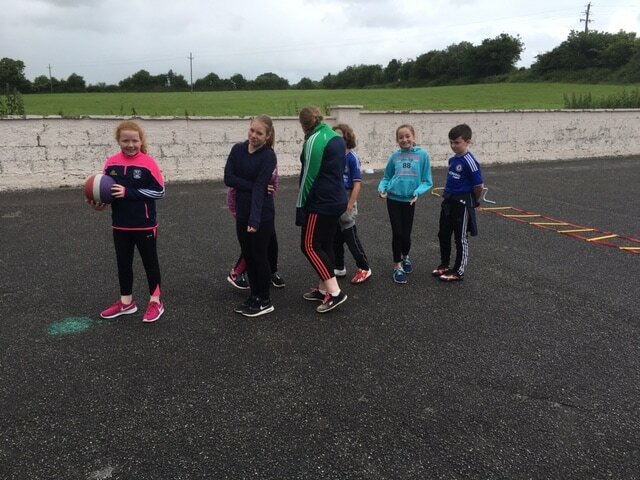 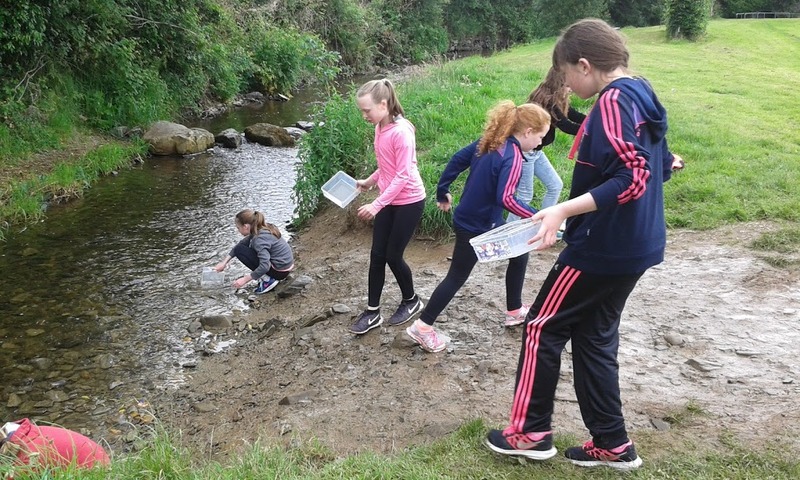 The children in Fourth, Fifth and Sixth class have been participating in the Friends for Life Programme. Friends for Life is a social skills and resilience building program that is recognised by the World Heath Organisation for over 12 years of comprehensive research and as an effective means to prevent anxiety for children aged 8-11. 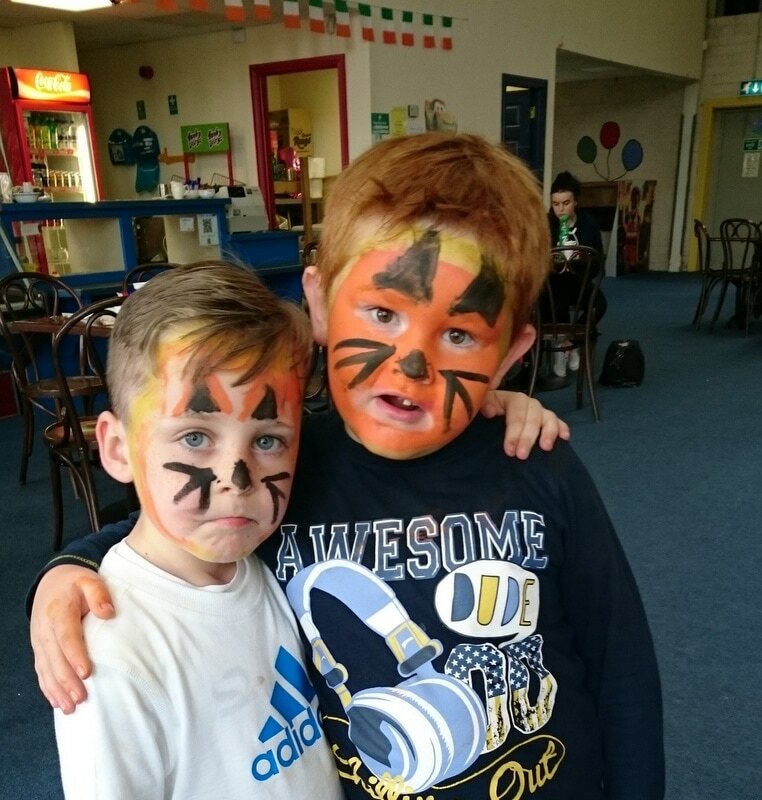 Friends for Life is proven to reduce anxiety and give participants the tools they need to cope in these stressful and challenging situations. 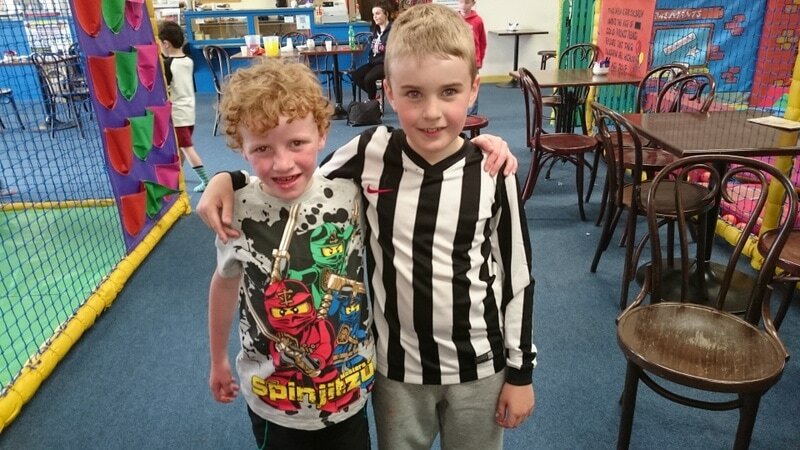 Further to anxiety treatment, Friends for Life also improves a participants social skills, ability to focus, confidence, and the ability to relax and regulate emotions. in fruit and veg from home to earn stickers and prizes. 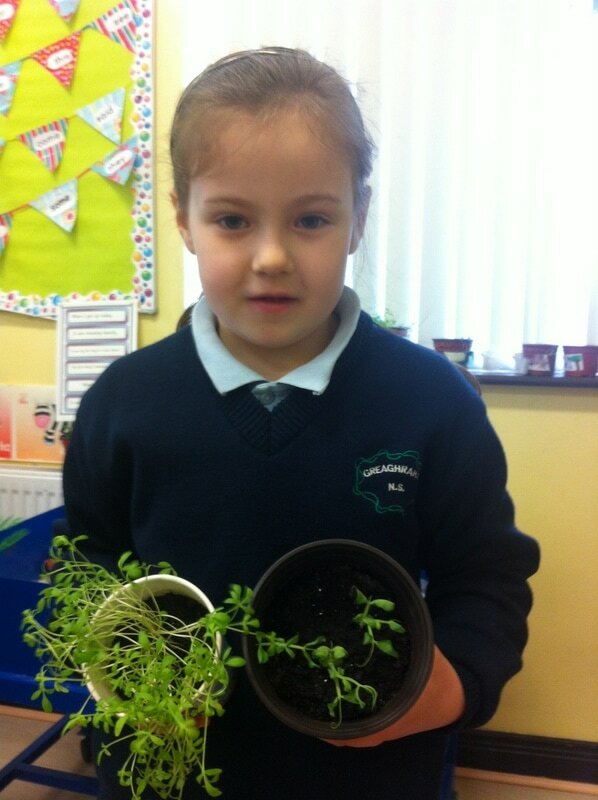 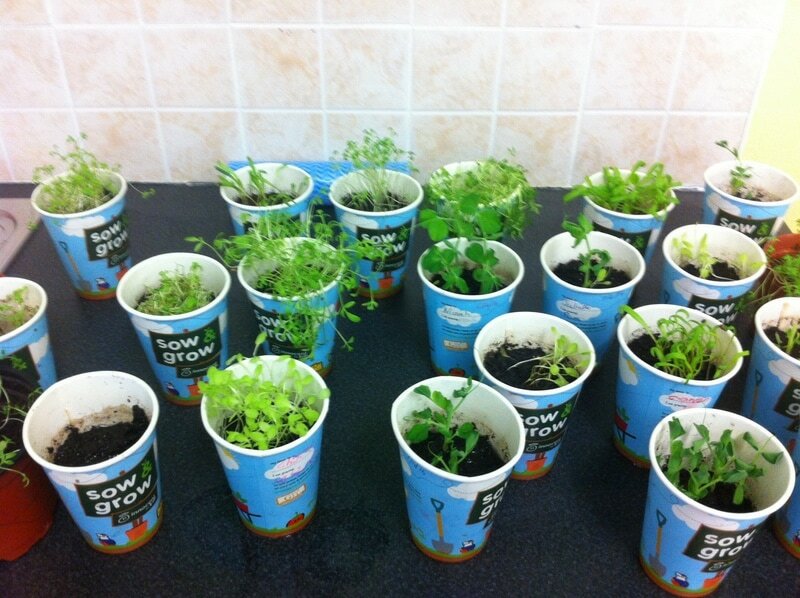 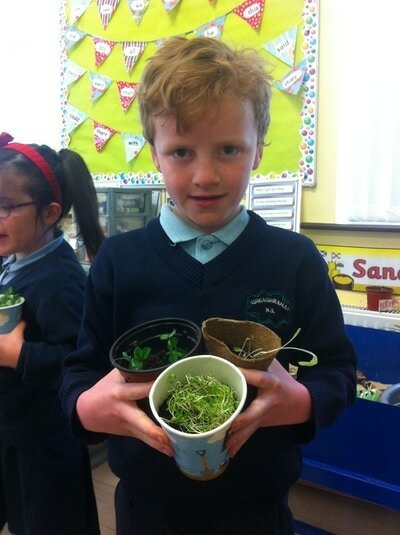 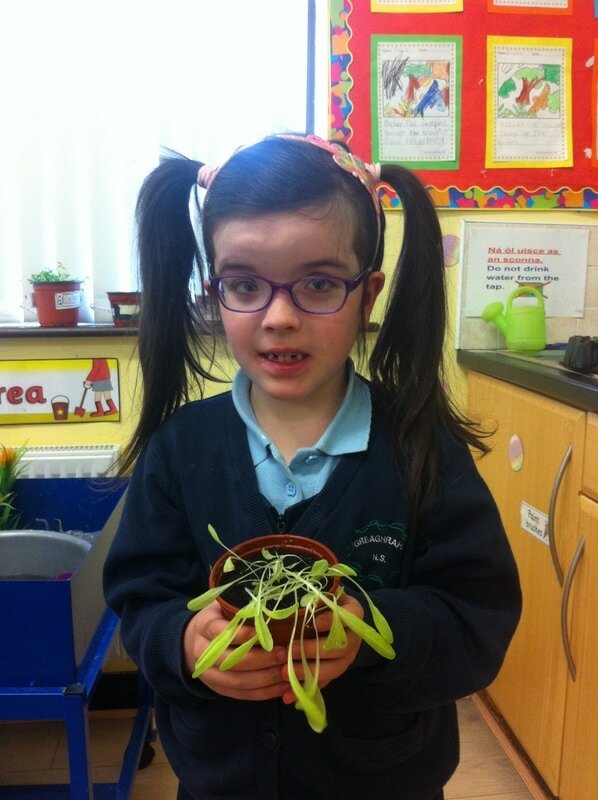 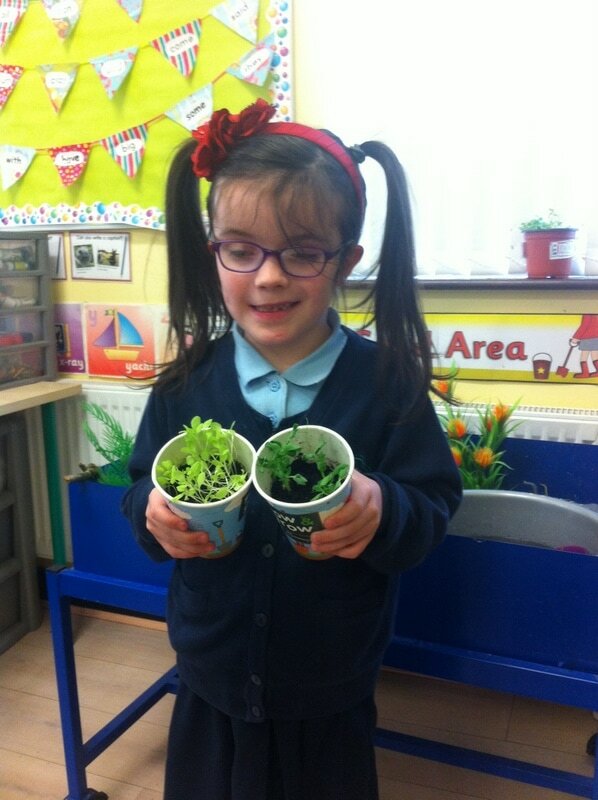 The Junior Room registered with "Sow and Grow" and received packets of seeds, grow cups, compost and a sowing guide. 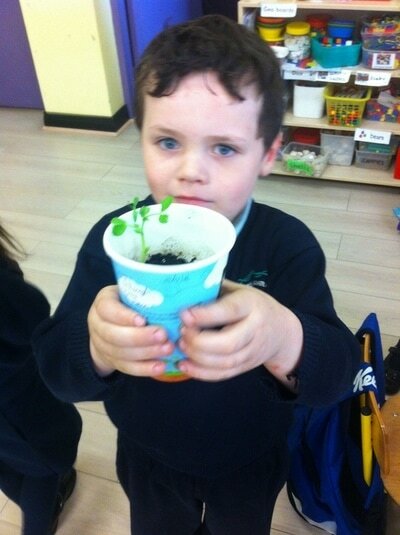 It wasn't long before busy hands were planting and watering in anticipation of some healthy and tasty vegetables. 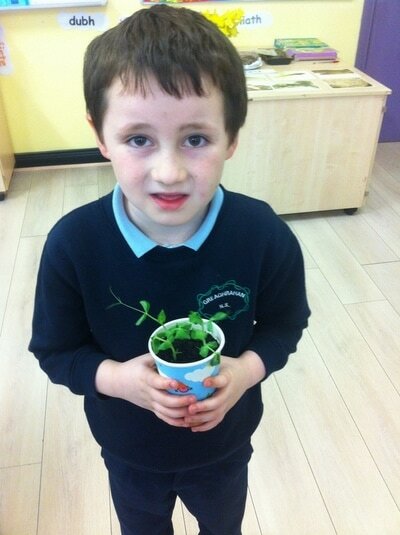 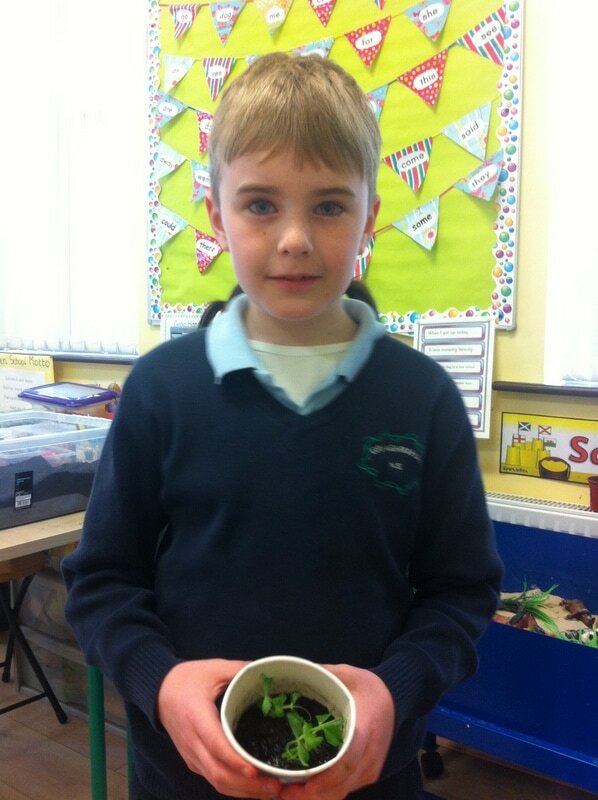 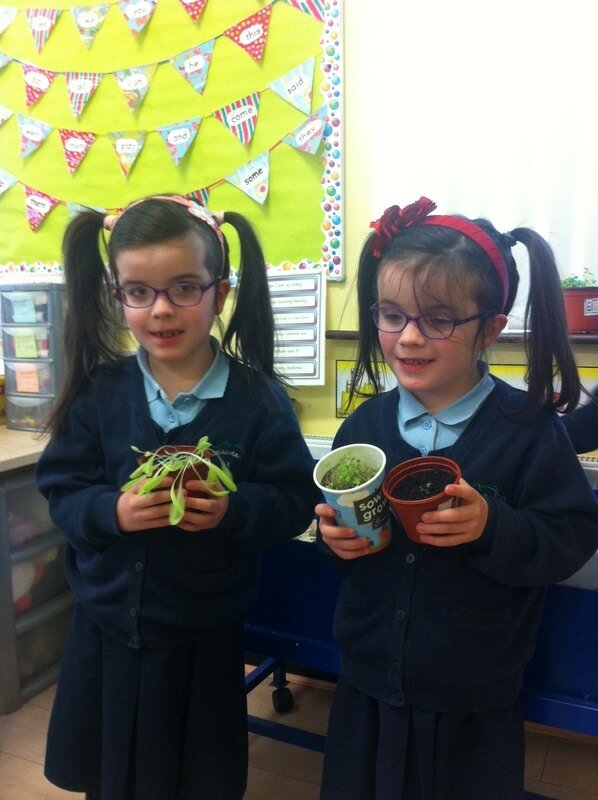 We planted cress, bean sprouts and peas and lettuce. 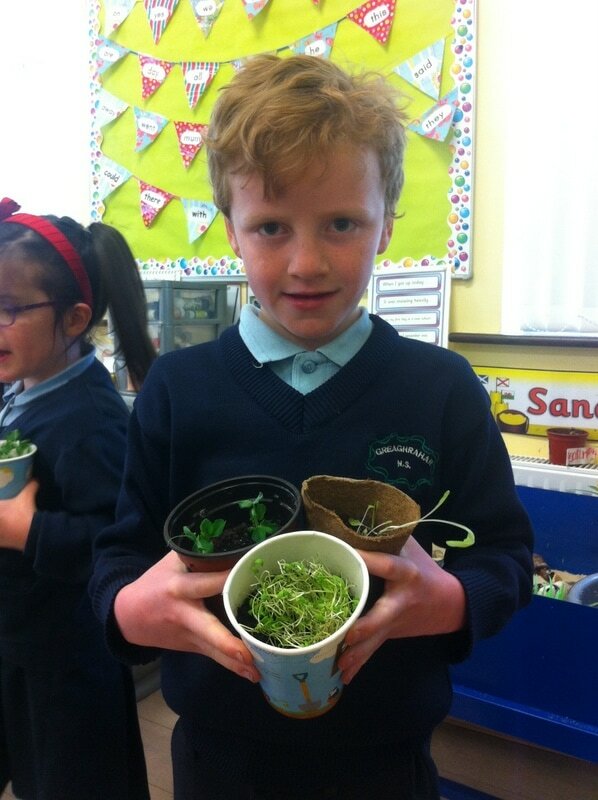 Here are some pictures of the tasty results! 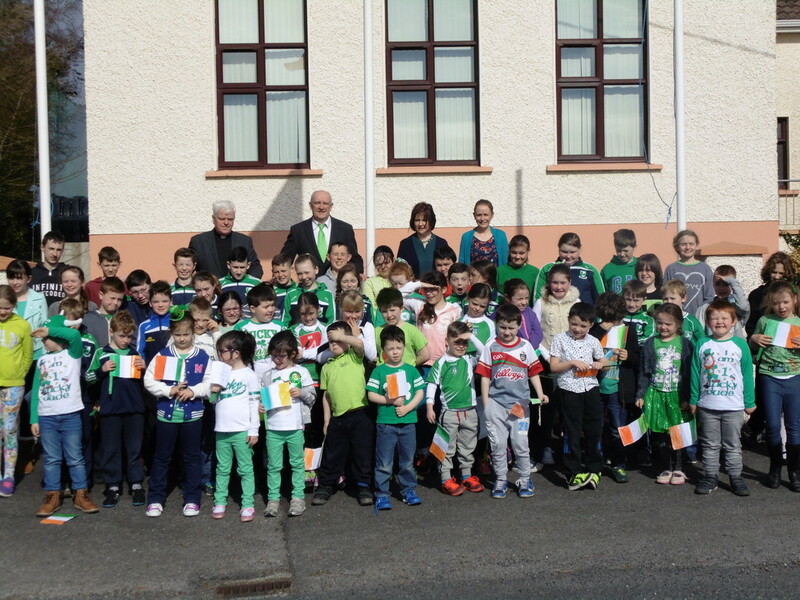 To commemorate the centenary of the 1916 Rising and to celebrate 100 years since the Proclamation of the Irish Republic, the Government tasked Óglaigh na hÉireann with delivering a National Flag to every Primary School throughout Ireland. 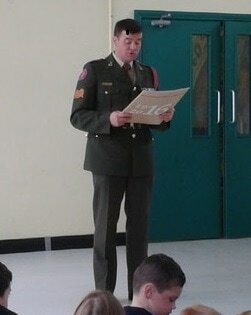 On the 18th September 2015 army officer Dave Mc Carney from the Defence Forces came to our school to hand over the Irish Flag and to read the 1916 Proclamation. He explained to our pupils the meaning of the flag and the proclamation and answered many questions. 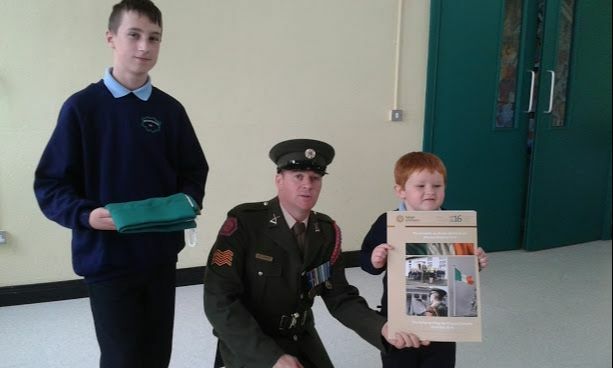 He then presented the flag to youngest pupil Conor and oldest pupil Filip. 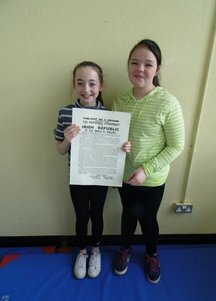 On 15th March we had a lovely ceremony at school to mark the centenary of the 1916 Rising. 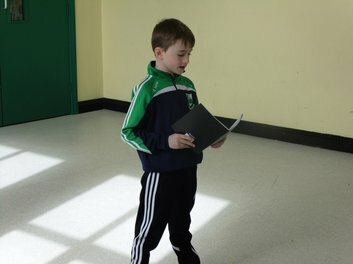 Some of the children read out the poems they created as part of their project in history. 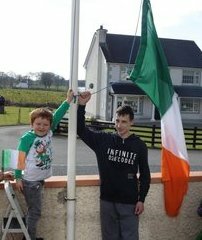 We also had music and songs, culminating with the raising of our national flag and singing our National Anthem Amhrán na bhFiann.